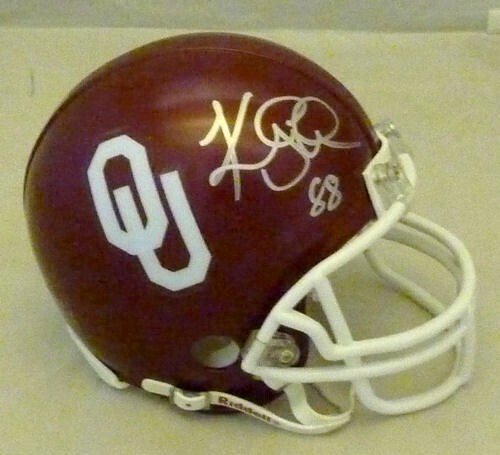 Oklahoma Sooners mini helmet autographed in silver paint by former superstar tight end Keith Jackson, a key member of the 1985 National Championship team. From a signing with Denver Autographs, with their certificate of authenticity. ONLY ONE AVAILABLE FOR SALE.